We're a year into Legion. How has the meta changed, and what's on the horizon? Last summer, I wrote articles that went over the early Legion meta (Rebel 101 and Imperial 101) in detail. But it’s been many jam-packed months since, we are just a few days past the one-year anniversary of Legion! In that time, we’ve gotten a ton of new units and keywords to play with. So if you’re just joining the game, looking to get back in after a hiatus, or hoping to try out something new, what armies are out there and doing well? What has changed, and what has stayed the same? I’ve used a mixture of personal experience, community feedback, and competitive data (thanks Orkimedes!) to flesh out a few different sections in this article: first, an update for those returning from a hiatus, second, a collection of meta (or just off-meta) lists for each faction, and third, a look into the future of Legion armies. Before we jump in to the current meta lists, a few trends to note for those of you just joining us after a long hiatus. First, the vehicles of yesteryear have largely vanished. Triple Speeder Bikes and AT-RTs have been replaced by lists that rely more heavily on Strike Teams, especially their heavy-duty snipers. The T-47 Airspeeder, sadly, is still old and busted. While the occasional AT-ST or AT-RT can have an impact, they’ve largely been supplanted by more recent releases. Second, the commanders you ran last year are, however, largely the ones you’ll run right now. This article doesn’t dive into the just-released Jyn Erso or just-around-the-corner Director Krennic expansions while they settle down and find their place in the meta, but the Han and Palpatine releases didn’t drastically uproot anything. You’ll certainly find them in a number of successful lists, but as Orkimedes’ excellent LVO Top 6 breakdown shows, top players are still very much relying on Veers, Luke, and Leia. Third, melee is a much bigger consideration than in the past. No longer is engagement just for the lightsaber-wielders among us; Chewie, Wookiee Warriors, and the Imperial Royal Guard have all brought a change to the way players have to approach range in this game, and it’s worth trying them out for a game or two if only to learn their pros and cons for yourself. Fourth, emplacement troopers can be fun, but are far from necessary. Plenty of lists utilize one or two FD Laser Cannons or E-Webs (and the occasionally ambitious skew list might feature three) but for the most part they are situational, and not necessarily better than their Strike Team counterparts. Fifth and finally, the meta is, in my opinion, in a healthy place and is about to rapidly evolve. While there are a couple dominant lists right now, there’s still a lot of creativity on display in the game. The Specialist packs (including Comms, Medical Droids, Astromechs, and an Officer) are quickly becoming a staple of lists in both factions. And, further, the release of Bossk, Sabine, the Occupier Tank, and the Landspeeder promise to shake things up further. It’s a good time to be trying out weird things, but there’s plenty of comfort food available (I’ll never give you up, General Weiss). And neither faction is necessarily stronger than the other. You might give Rebels the advantage, but even at LVO the cross-faction matches were only 14-12 in favor of Rebels. Play which faction you want, not which faction you think will make you win. We’re in a good spot. And now that we’ve gotten through that, let’s take a look at a few list archetypes that are doing particularly well in the current meta. As mentioned above, General Maximillian Veers is still the bread and butter of most Imperial lists. Not necessarily because of what he brings to the table (although his primary gun is nothing to sneeze at), but because of what he doesn’t – Vader and Palpatine both cost an awful lot of points. 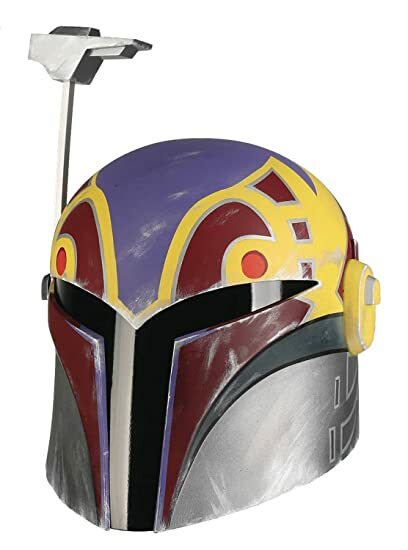 But Veers lets you bring a friend or two, notably the mysterious bounty hunter Boba Fett. Even within that archetype, though, you’ll find plenty of variance. John Griffin’s 1st place LVO list settled on five Corps units, one Royal Guard, and two Sniper Strike Teams to complete Veers and Boba. Meanwhile, Douglas Kropp’s 5th place LVO list featured three Stormtrooper DLT units, three Snow/Flametrooper units, and three Sniper Strike Teams. I personally like using five Stormtrooper DLT units, one Snow/Flametrooper unit, and two Sniper Strike Teams with HQ Uplink for better activation control. This archetype is absolutely a canvas on which you should experiment. Of course, there are those of us still holding onto the Veers and Weiss AT-ST lists we love so much. Never let the walker go out of style! The Empire’s other commanders are, generally speaking, on the outside looking in. While they are powerful in their own right, their high cost limits what other toys they can bring. The Emperor, of course, is an absolute monster on the battlefield. Pairing him with one or two Royal Guard, a cadre of Corp units, and perhaps some combination of Snipers and E-Webs. Sheev’s devastating And Now You Will Die command card essentially turns him into a tactical nuke, draining his own wounds to repeatedly attack, and can easily take out full health commanders in a single turn. If nothing else, he’s an absolute blast to play and a quick paint job to boot. Darth Vader hasn’t gone anywhere. While the Veers/Boba combo has certainly overtaken him, Vader is a dangerous tool all the same. A common utilization is to pair him with a single Royal Guard and a host of Corps units. The list I’ve linked here trades out the usual Snowtroopers for a full Scout Trooper unit (since having two Special Ops tokens instead of one can be quite useful), but that’s primarily just to keep things in this article form being too repetitive. At the end of the day, Vader still functions in much the same way as he always did: staple Force Reflexes and Saber Throw to him, and definitely consider Force Push to help with melee charges, then slaughter. Darth Vader remains very good at slaughtering. After all this time, Luke and Leia are still on top. They won the second season of Invader League under Kingsley’s guidance and took 3 of the top 6 spots at LVO. And while their comrades have, indeed, changed – consider taking Strike Teams or Wookiee Warriors over what used to be AT-RTs – the core of the list has not. A bunch of Z-6 Rebel Troopers, some side toys, Leia to support and Luke to dish out the damage and control board-space. For better or worse, this is still a dominant list that hasn’t been supplanted by the large number of releases since its inception, and it’s easy enough to dip right back if you haven’t played in a while. When it comes down to it, Luke is just that good. He’s not terribly expensive, he hits like a truck at close range, and he works well in coordination with a lot of other Rebel units. While Luke/Leia definitely seems to be the top Rebel meta list, according to Orkimedes Luke/Han did sneakily well at LVO, with an 11-6 record for the day. Luke is definitely the staple of this list, but Han provides some extremely fun and versatile ways to play the board. His Uncanny Lucky keyword makes him surprisingly hard to kill, Gunslinger gives him an impressive power boost (with Pierce 2 to boot! ), and Change of Plans is an extremely potent command card. I think that, when it comes down to it, who you pair with Luke is essentially a matter of personality. If you like the more cautious, supportive side of the game, go for Leia. If you like to be up close and personal with your opponents, go for Han. Either way, the Rebellion has you in good hands. Alternately, you could give the Scruffy-Looking-Nerf-Herder his Princess-Slash-General. Barrur ran this Leia/Han list in the last Invader League season that I quite liked, if only because they dared to use two Fleet Trooper units. While Leia and Han don’t have the explicit synergy of Han and Chewie (hell of a subtext for you there), they’re still plenty powerful together, and worth considering if you’re a Rebel player. And, you know, you could always throw Chewie onto Leia/Han as many others have done. And now that we’ve recapped what was and what is, let’s take a look at what’s coming down the pipeline. Director Krennic and Jyn Erso will begin to have their impact on the meta. The Imperials have been hungry for another low-cost commander to replace or go alongside Veers, and the Rebels have a fun new mechanic in Infiltrate. It’s too soon to say how exactly these two will fit into the current meta, but if nothing else they certainly add some much needed list diversity. Sabine and Bossk look to take center stage. A new operative on both sides means plenty of fun list-building to go around. Sabine especially looks poised to really change up the Rebel meta, while Bossk might simply fill a few more niche roles. Vehicles aim to make a comeback, and creatures join the fight. With the addition of the Landspeeder and the Occupier Tank (plus a slew of new pilots, upgrades, and keywords), we might see a return of the more vehicle-heavy lists of early Legion. That 10-point Tank pilot will fit awfully nicely into my favorite AT-ST. Then, the Tauntauns and the Imperial equivalent (Dewbacks, presumably?) will potentially change the trooper-heavy silhouette of the current meta. Plus, they’ll all look awesome on the table. The Clone Wars are just around the corner. We don’t have an official release date yet, but it’s within reason to think that a holiday 2019 release for the Clone Wars expansions (and a whole new wave of RAMPANT SPECULATION) to Legion is likely. 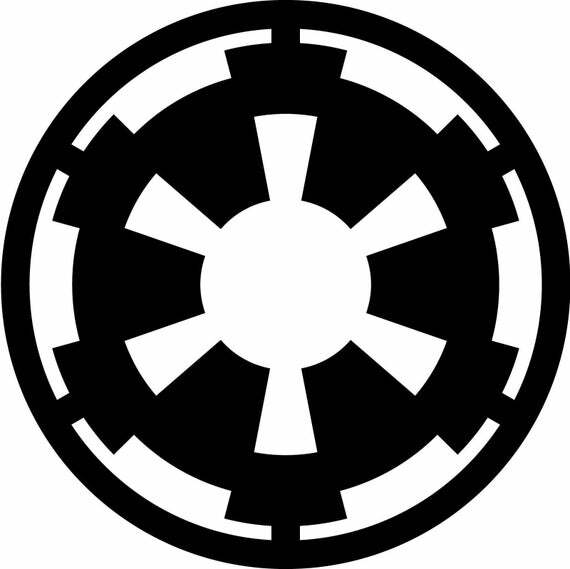 Which side will you pick – the CIS or the Galactic Republic? All said, I’ve never been more excited to be playing Legion. The factions are balanced, the units are interesting, and the future looks extremely bright. There’s a lot of life and vibrancy in this game. 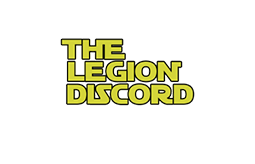 As a final note, of course, I would be remiss not to mention the Legion Discord. Home to more than 1,500 players who want to talk shop, the Discord is a great place to go to get feedback on the current state of the meta and workshop that list you’ve considered trying out. It’s also the perfect spot to engage in RAMPANT SPECULATION. I’m an Admin on the server (groggydog – Imperial Discipline) so click the image above to join up, and say hi! We’d be happy to have you. As always, happy list-building, Commanders!